May 05, 2018 - Dubai, UAE: Summer is nearly upon us and the majority of us have already booked in a getaway and starting their holiday check-lists. However, a holiday shouldn’t just start from the time you board on the plane, but from when you are being pampered from head-to-toe prior to your blissful trip. Head down to the one-stop-pampering-shop, Rossano Ferretti, and indulge into a little TLC before jetting off. 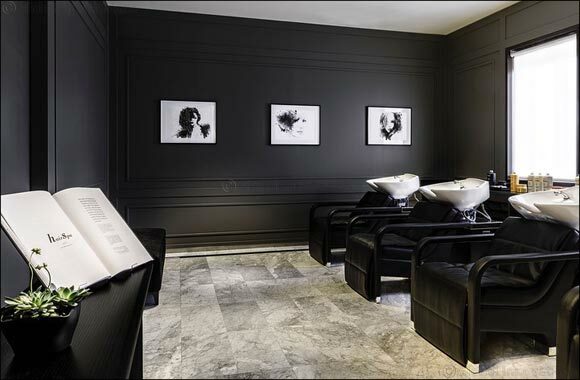 The Hair Spa has established itself as the go-to salon with the sophisticated and glamourous residents of Dubai and Abu Dhabi as a result of its award-winning luxurious setting, immaculate services and highly trained therapists that offer an array of wonderful services. Rossano Ferretti Hair Spa is famously known for their signature ‘Method’ cut, which considers the natural fall of the hair and allows the hair stylist to enhance the individual beauty of every client through customising the cut to the specific hair type and characteristics of the individual person, the hair spa also offers hair treatments and colouring, manicures, pedicures, nail enhancements and add on services such as waxing and threading services with Lycon wax. Don’t forget to take a little touch of salon heaven away with you and enjoy the Rossano Ferretti’s award-winning hair care range overseas. The unique hair products are known as cosmetics for the hair and come in a range of delightful textures and beautifully scented formulas. The hair care range offers a solution to all haircare needs and guarantees exceptional results. The extensive product range helps hair become healthier, stronger, softer and overall, naturally more beautiful. Reduce the amount of time you’re running around the city ticking off all your pre-holiday beauty necessities and make Rossano Ferretti your ultimate destination for your holiday pampering!